You are purchasing a piece of land to build your dream home or second home to enjoy weekends and vacations, and now you need a good builder. How do you select one? 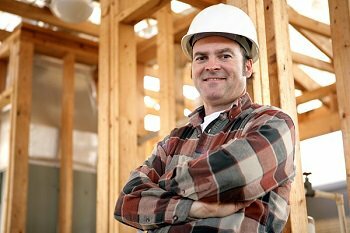 Finding the right builder is key to any building project because you need to trust that your money is being spent correctly, on the right materials, and that your home is not only being constructed with the level of quality you expect, but that it will be completed within the general schedule you agreed upon. Here are some factors to consider as you meet with potential builders and do your homework. Reputation: Check with your local chapter of the National Association of Home Builders (NAHB). Are they a member of this organization, which demonstrates a higher level of professionalism? You can also look them up on the Better Business Bureau (bbb.com) and check with the building departments in which the company operates. Another resource is Angie’s List, a consumer-driven service where members rate business and submit reports. It is supported by membership fees of consumers, not paid for by the businesses, so the reviews are trustworthy. History and completed work: How long have they been in business? Are they new, or have they seen different markets and adapted? Are there homes already completed you could go and see? If so, take a close look at the quality of those properties. References: Ask any builder you are considering for a list of references that has full names, addresses, and information about what the project was. When you contact the references, try to get a full picture of their customer service experience. How responsive and accountable is the builder in terms of customer service? Are existing homeowners satisfied? Financial stability: Ask if your builder has ever had to file for bankruptcy or been associated with a builder that filed for bankruptcy. When a builder has financial issues they often file for bankruptcy, abandon their home buyers, and start up their practices under new names. You want your builder or contractor to be financially secure and stable. Building specifications:Ask the builder how he will ensure that the house reflects what you want in a home. What types of interior finishes and upgrades can be provided, and how much extra are these upgrades? Do they offer a professional interior designer to make your vision come to life? If the area is wet or is prone to spring flooding and runoff will it be protected from water entering the basement? If your site needs a drainage system, will it be included in the construction costs? Make sure you are getting exactly what you are paying for. Communication: Look closely at the literature the builder provides that specifies what you can expect while he is building your home. Ask who the specific contact person is for any questions about the building process. Is the builder hands on, or will you be working with others in the company? Do you feel comfortable with them? How will you communicate with each other? Subcontractors: Who are their vendors and subcontractors? Do these vendors and subcontractors have a good reputation, and will they stand by their work? Does the builder pay them on time? This might be an indicator of whether the builder will be on schedule and avoid unnecessary delays. Warranties: After you move in, what is their customer service policy? Find out if they offer a warranty for the first year to cover problems or repairs. For the biggest investment of your life, it requires research to identify, qualify, compare and match your builder to your needs. Take your time hiring a builder, as new construction is a lengthy process and you will be working with this person or company for months. After careful assessment of the above factors, you will be able to weigh whether the builder is right for you and select carefully.